The meal started with an array of appetizers. 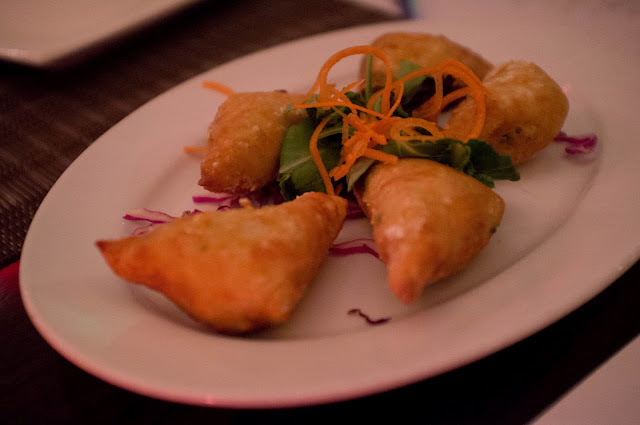 The first were the vegetable samosas filled with potato and peas. My favorite way to start any Indian meal. 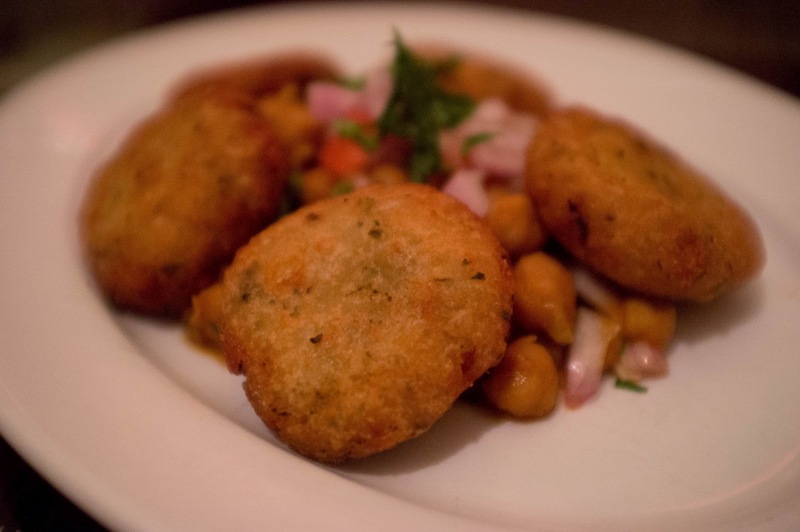 Next, I sampled the Aloo Tikki- potato fenugreek cakes (think crab cakes) served on a bed of chickpeas. 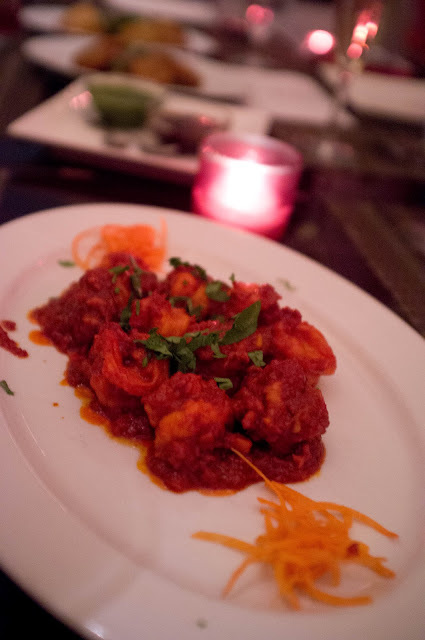 The next dish, Jhinga Balchao were shrimps served in a spicy pickled sauce. Has a good kick to it, so I would avoid it if you are not a spicy food eater. Next up were two chicken dishes. 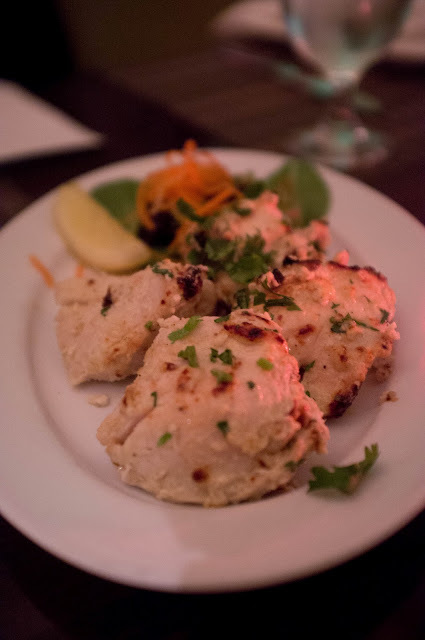 The Chicken Malai Kebab was very lightly seasoned with some fresh herbs. 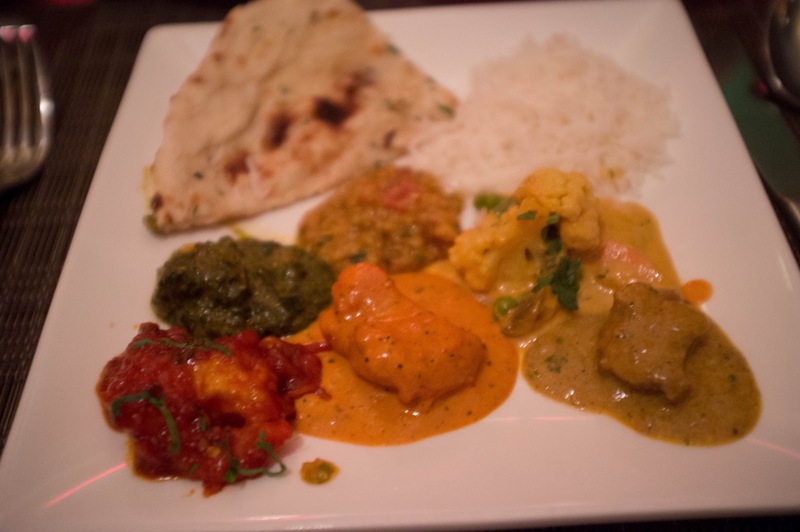 This dish would be great for anyone who thinks they don't like Indian food to show them that it's not all spices and curries. The second chicken dish was the Chicken Seekh Kebab. 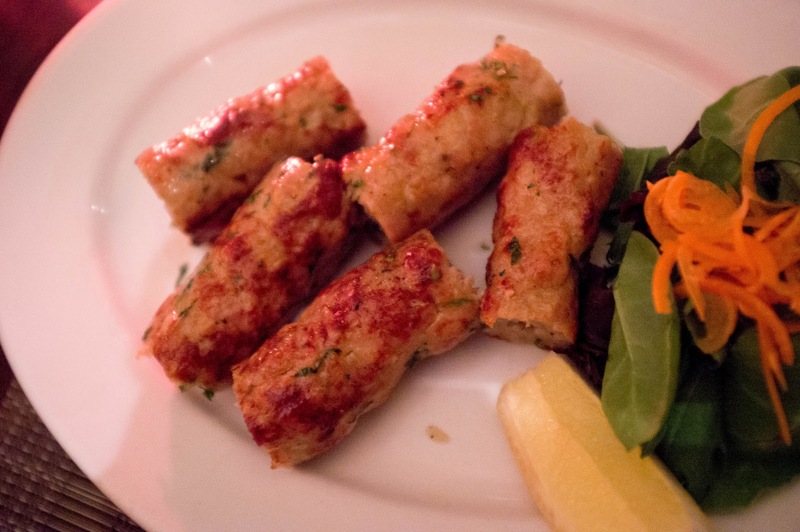 Ground chicken also lightly seasoned into little sausage-like skewers. For dessert we were served the Gulab Jamun. 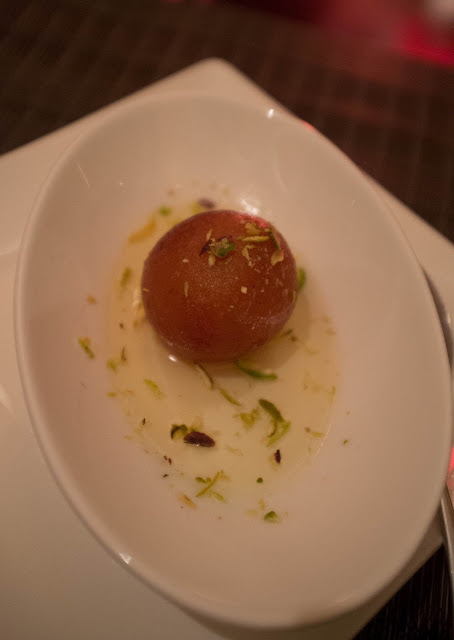 I've had gulab jamun before, but always thought it was a cake based ball soaked in honey, I never realized that it is a cottage cheese and milk ball. Either way, it's a perfect way to end a meal- two or three bites of sweet without being too filling. The modern flavor of the decor was carried throughout the menu. All the dishes were updated to have all the aspects of traditional Indian cooking without being overpowering. 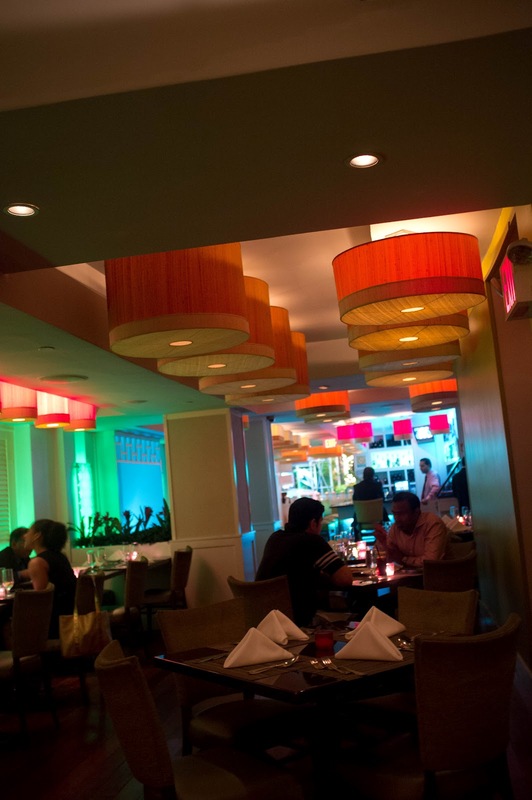 Mint would be a great place to bring someone trying Indian for the first time!